Our full-service salon provides all your luxurious hair services and more! Visit our style bar for girls’ night, your big day or just to treat yourself. Complete the experience with one of our specialty cocktails or a glass of delicious bubbles exclusive only to Mod Style Bar. Fresh cocktails curated by the amazing team at Jacks Pizza & Liquor only found at Mod Style Bar. Our Kelowna hair stylists know that the latest tips and trends never come to a complete stop. That's why we work hard every day to improve, train, and stay on top of those styles and trends to help you look your best anytime anywhere. 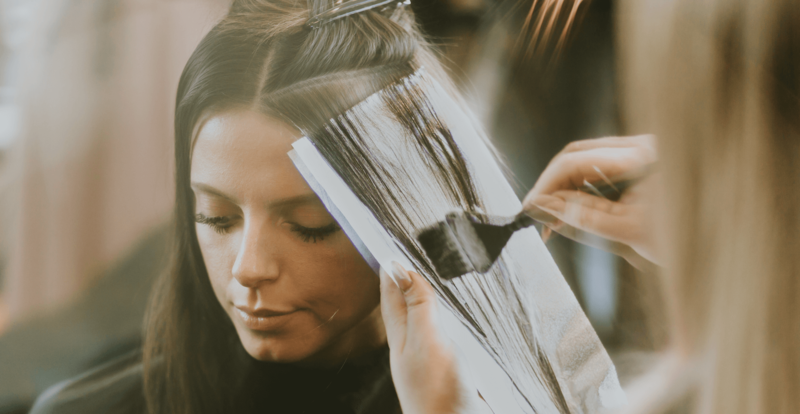 Our stylists are highly skilled with our monthly in-salon education and they are traveling all over the world from LA to London with our education rewards program. They carry certification with Vidal Sasson, Oribe, Sachjuan, Davines, Greatlengths and Hotheads extensions. Whether it’s for a wedding, graduation, girls’ night out or just to treat yourself, we’re here to take care of all your hair styling needs. We use eco-friendly luxury style products like Sachajuan and Davines that are sustainable, cruelty-free and suit all of your hair needs. As the only style bar of its kind in the Kelowna area, we strive to provide a luxurious, customized experience for every one of our guests. Show up for the ultimate in hairstyle while enjoying one of our curated Champagne cocktails made exclusively for our guests. SachaJuan is driven by simplicity. A perfect blend of style, substance, form & function powered by their own Ocean Silk Technology. At the Mod Style Bar, we provide you with a highly-skilled Kelowna hair stylist that will create a hairstyle that exceeds your dreams. Flat iron straight smooth and shiny. A clean and easy style. Flat iron curls or wand curls with volume, texture and hold. Rolled off the lake. Round brush with volume and flat iron tune up for Soft and romantic style. Standard small or large round brush blow-dry. Your Classic day style. Messy chic waves undone, second day look, perfect bedhead. Loyalty Cards Available, Buy 4 Styles and get your 5th one Free! Wavy, textured base. Messy, natural and loosely pulled up. Pulled up in a sophisticated, sleek, shiny bun, pony or style of your choice. On your big day you will need to find a style that best suits your overall bridal look. Anywhere from classic, bohemian, curls or straight. We can do it all! This look is tailored specifically for you and only you. *Consultation Required. *All styles can be customized to your preference on short or long hair. Friendly staff, nice atmosphere, and great products. I can’t wait for my next appointment! The staff are amazing. Atmosphere and service is 5 star! I didn't need to explain much to get the perfect style, they just made it happen! I came home ❤️‘ing my hair today way more then before. The absolute best place ever!!! Top quality products and knowledgeable staff in a relaxing atmosphere. I was very pleased with the end results and would definitely return.